My name is Maria Sergi and I will be your guide in Munich. Enjoy the view of the city from the bird perspective. 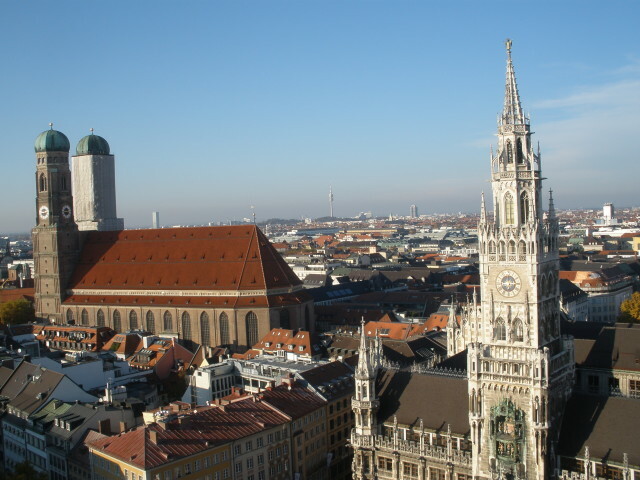 Climb the 306 steps up the tower of St. Peter church for the breathtaking view over Marienplatz and New Rathaus. Enjoy 15 minutes of the pipe organ music at St. Michael church every weekday at 12:30. Also, check if there is an organ concert at the Asamkirche. The beauty of it will move you to tears. Enjoy a lunch at the Victualienmarkt where local farmers sell Bavarian gourmets. The most lovely market of the city offers the best selection of bavaria cuisine. Enjoy Sunday in one of the Pinakotheks. Just for 1 € you will enter one of the finest art gallery in the world and stand in awe before Leonardo and Monet. 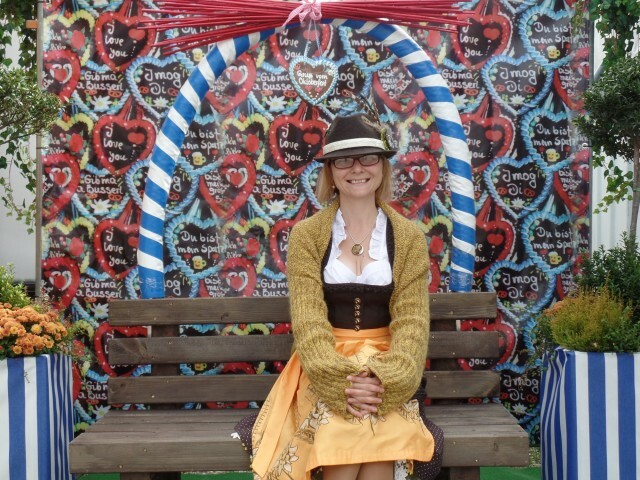 Enjoy shopping for the Bavarian traditional dress and hat in a boutique or a souvenir shop. 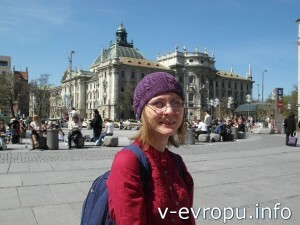 In Munich you can wear the fancy hats with plumes and enjoy the compliments from passerby. If you want to fall further more in love with Munich, then join in me on the city exploring tours. I can show you the city from whatever perspective you are interested in. Or I can show you the city the way you had never expected to see it. 5 most popular themes to explore the city to give you the taste of what awaits you. On your first time in Munich you will want to see the landmarks of the city (New and Old Rathauses, Frauenkirche, Marienplatz, Odeonplatz etc.) 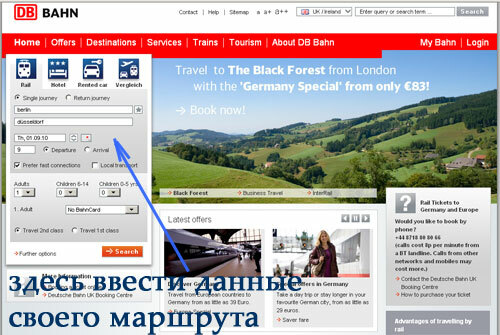 and learn some basic information about the history of Munich and Bavaria. In the end of this tour I promise that you’ll be able to name all the Bavarian kings and properly color the flags of Munich, Bavaria and Germany. These new skills will definately impress your friends back home. We call Oktoberfest “a fifth season” of the year. It is tremendously important for history and economy of the city. But all year around you can emerge into the Bavarian culture of beer, cuisine and fancy dressing. On this tour you will learn how to distinct between Bavarian and Munich beer and when it is a fauxpas to order white sausages. At the end of the tour you will start saying “Wiesn” instead of “Oktoberfest” just like all self-respecting Munich people. Beer tasting is optional and at extra charge. Despite being more than 850 years old Munich is a booming hipster city. History here is intertwined with the modern art and high-tech companies. We will explore the most wimsical, quirk and artisant places of Munich. Where to try hand-made chocolate, enjoy coffee with Prinz Regent cake and have champagne for breakfast. Hidden treasons of baroque churches and modern galleries. This tour is usually for ladies, but I promise, I don’t discriminate. Munich is the most northern Italian city. On this tour I will prove it to you: Italian architecture, copies of Italian landmarks, Italian merchant families living for centures in the city, Italian wives to Bavarian rulers, Italian cuisine, Italian chocolate, Italian wine, Italian ice cream, even Italian weekend in the Oktoberfest. You get an idea. Let’s find some bella Italia in Munich. Look closely: lions are everywhere in Munich. Lions have special meaning for Munich and Bavaria and some lions in the city have secrets and exciting backstories. We will explore the city on the quest to photograph as many lions as possible to make the most extensive photo collection of lions. The champions of this tour found 500 lions in 3 hours. Are you up to the challenge? If you are interested to explore Munich with me contact me via email maria.sergi@v-evropu.info with the following information (when applicable): When will you visit Munich? How many people will be with you? Is it your first time in Munich? What are your expectations and interests? For small groups (families, friends) up to 10 people I offer 3-hours sightseeing tour in Munich for 150 €. If you travel with a bigger group or as an organisation, please, contact me via email for an offer. suggest transportation within your budget and time limits. Contact me via email for the plan-the-trip offers.